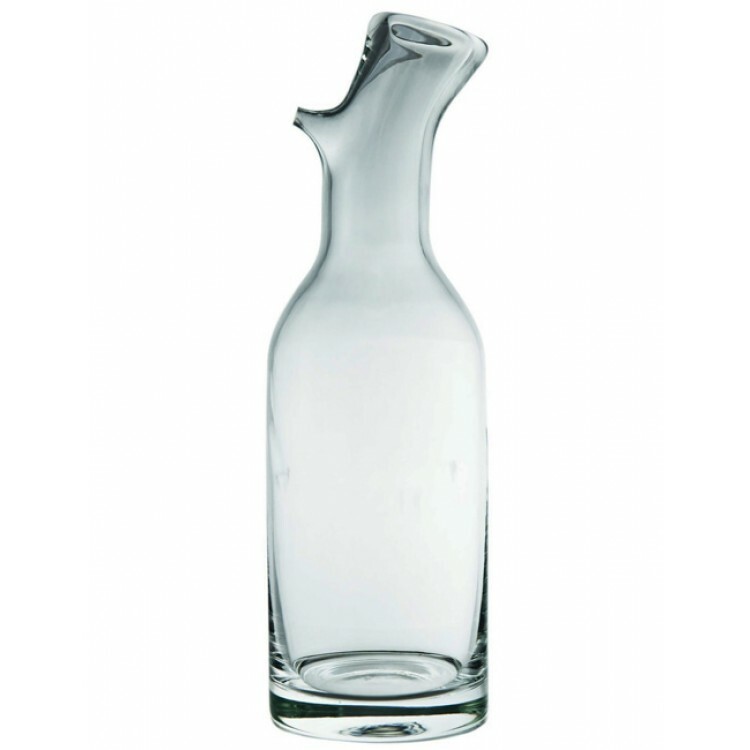 The Absinthe water carafe Portieux is a dual-mouthed carafe. Why? Because it was like this in the old times! This is an authentic reproduction or antique originals. 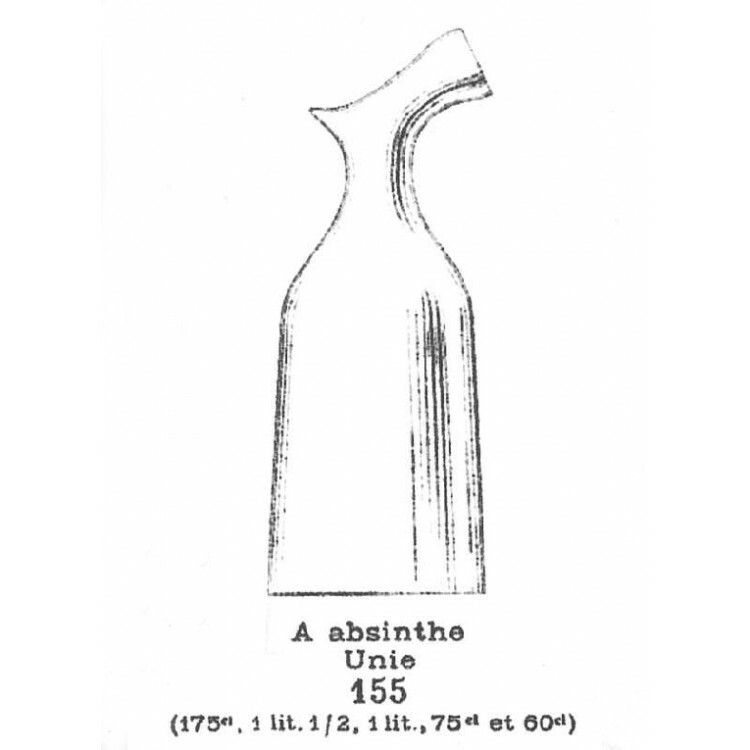 The Absinthe water carafe Portieux is a dual-mouthed carafe. Why? Because one large hole is for filling the Absinthe carafe with water and ice. The other one is a small spout for a precise and fine water drip during the traditional Absinthe ritual. 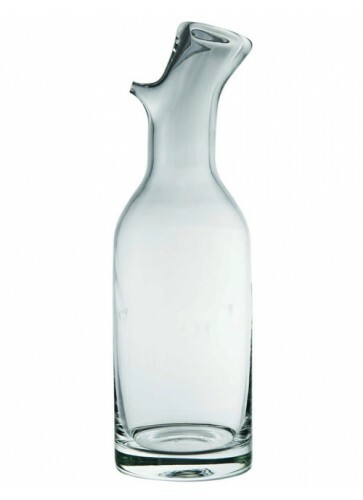 This dual-mouthed Absinthe carafe is the one and only carafe especially made for use with Absinthe. Former originals were produced during the years between 1910-20. 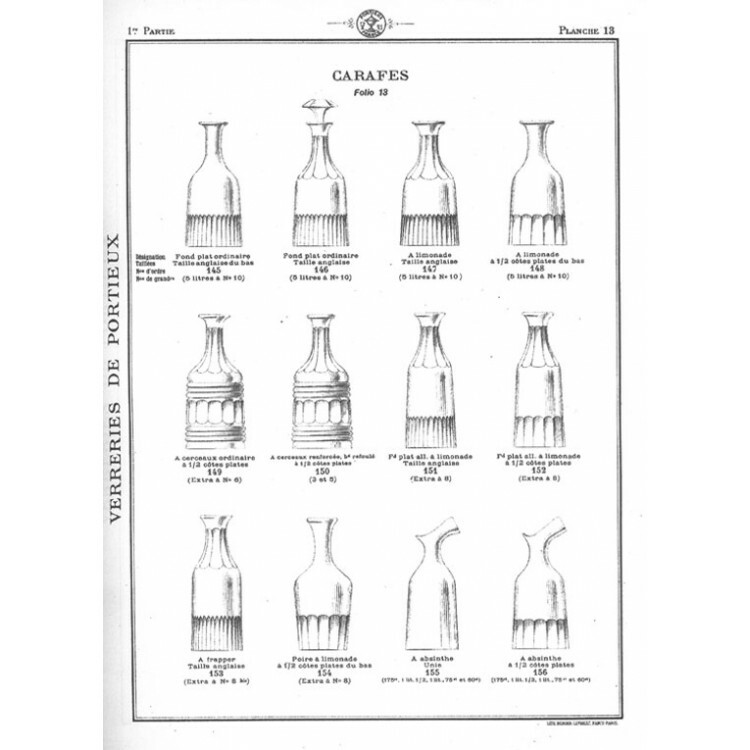 In our photo gallery you can see a listing in the 1914 barware catalogue from the French glass manufacturer Portieux. Volume: 0.75 liter / 25.35 fl.oz. In the following video you can see how you prepare Absinthe the traditional French way. You need an Absinthe glass, an Absinthe spoon, sugar cubes and ice cold water from a carafe for this ritual. This is how it works: You place the Absinthe spoon on the rim of the glass, put a sugar cube on top and slowly add water. 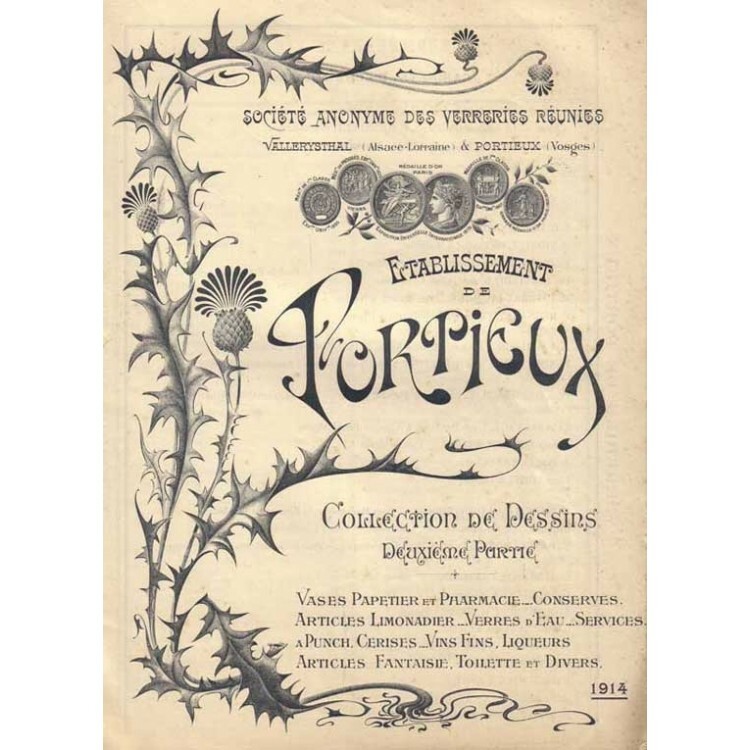 The Absinthe in the glass blends with water and magically louches from green to an opalescent white color. Santé, your glass of Absinthe is prepared. This is an excellent, well made piece. The glass is very thick and sturdy. It works quite well with the small spout pouring out just the right sized stream for louching an absinthe. I hghly recommend this.